Columbia Public Schools is scheduled to face change in teacher salary schedules starting in the fall. After the CMNEA (Columbia Missouri National Education Association) salary committee approved the alterations, the proposed salary schedule went to a vote by all affected district teachers, said RBHS Civics teacher Ben Niewohner. The salary schedule functions by columns based on a teacher’s current degree (Bachelors, Masters, etc.) and the graduate hours to their degree. From there, after every year a teacher works, they proceed down the column. The column setup did not change, but the numbers in each box underwent revision. At first glance, the teacher salary changes seem to be beneficial and improve pay; however, through close inspection, the new schedule actually decreased the pay of some, especially to younger generation teachers. 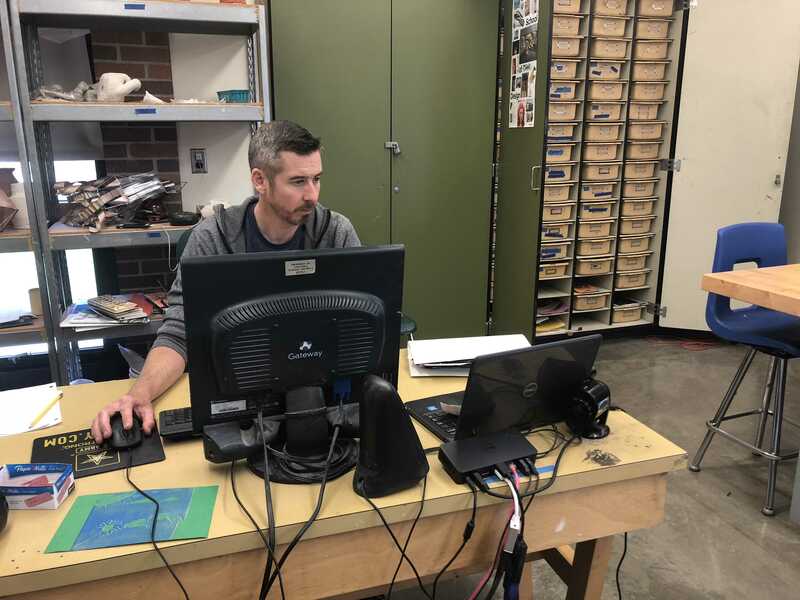 Kory Kaufman, RBHS physics teacher, said around 800 teachers had their salaries increased, some significantly, while 600 had to settle for less than they were expecting. Niewohner, for example, was suppose to receive $40,394 dollars for his fourth year of teaching, but instead will be earning $39,973. It is more than he made this year but less than he anticipated based on last year’s salary schedule. Niewohner also said the new schedule incited tension in the faculty, specifically during the vote. Niewohner and Kaufman believe the underlying issue, however, is not that this particular salary schedule is less desirable for some teachers, but that teachers, in general, need to be paid more. To teachers such as Kaufman, it is shocking that when the mean teacher salary, according to the US News Money Report in 2016, is only 58,034 dollars; other professions, such as a lawyer or physician, make on average 139,880 and 196,380 dollars. Kaufman argues that the job of teacher holds significant value, even compared to these careers. Sophomore Leela Cullity admires her teachers who go above and beyond to ensure her success and believes teachers are long overdue for a raise. Niewohner agrees with Kaufman and Cullity and said politics is the biggest hurdle when it comes to teachers not receiving their fair share in pay.